We provide services for the home purchaser and Sellers. We know the local market. That means we can find a property that meets your most important criteria. We also compare prices, called "doing comps." It allows us to guide you to areas that are affordable.We negotiate for you, pointing out reasons why the seller should accept a lower price. We help with the legalities of the process, including title search, inspection and financing. 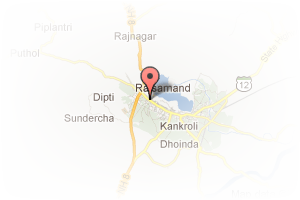 Address: jhalana Doongri, Jhalana, Jaipur, Rajasthan, India. 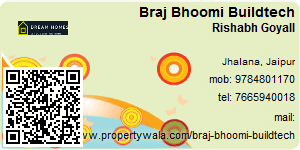 This Broker Profile page for "Braj Bhoomi Buildtech Pvt Ltd" has been created by PropertyWala.com. "Braj Bhoomi Buildtech Pvt Ltd" is not endorsed by or affiliated with PropertyWala.com. For questions regarding Broker Profiles on PropertyWala.com please contact us.